decorate your home to welcome your guests in style and color with this Cardinal Perch MatMates doormat. This welcome mat is made using a state of the art dye-sublimation process that permanently dyes the non-woven polyester top surface. The process forces the dyes deep into the fibers of the mat making the fibers fade resistant and beautiful. With the addition of a 100% recycled rubber backing this doormat is made to last and be mildew and water damage resistant. These features make the mat slip resistant and usable in almost any weather condition. 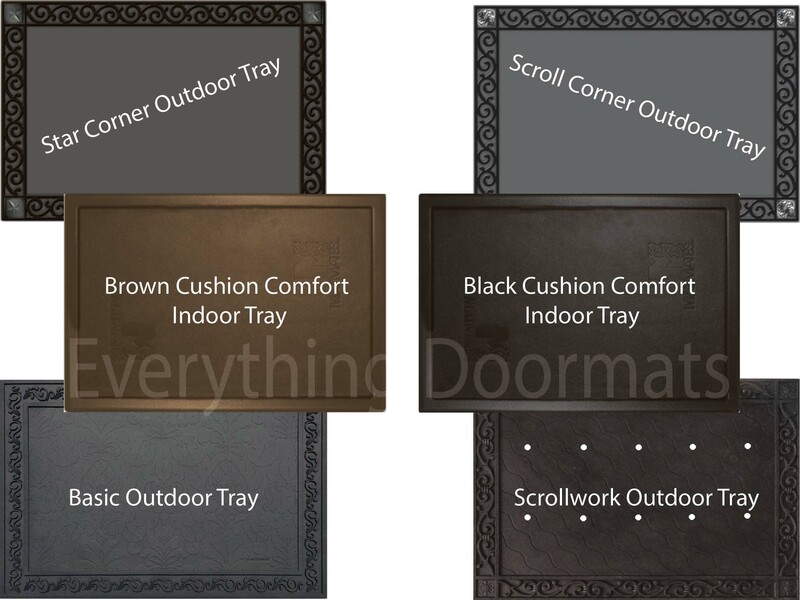 This doormat can be used as a stand-alone Welcome Mat or as an insert in one of our innovative and unique Outdoor Doormat Trays or Cushion Comfort Indoor Trays. Will withstand the rigors of all but the most in-climate of weather conditions. This animal doormat is 18" x 30" when used as a stand-alone mat. Note: The Cardinal Perch Doormat is pictured in our Scroll Corner Outdoor Tray. The outdoor trays and cushion comfort trays are sold separately.